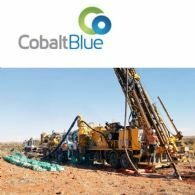 Cobalt Blue Holdings Limited (ASX:COB) (OTCMKTS:CBBHF) provides the Company&apos;s Quarterly Activities Report. 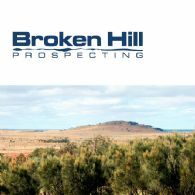 Cobalt Blue Holdings Limited (ASX:COB) has received notice from Broken Hill Prospecting Limited (ASX:BPL) indicating unless COB provides an undertaking not to enforce or act upon any of the resolutions put to the vote at the adjourned meeting of the Thackaringa Joint Venture Management Committee on 16 November 2018, BPL will seek declaratory, and possibly injunctive, relief from a Court. 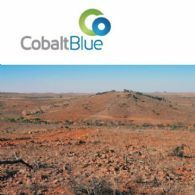 Cobalt Blue Holdings Limited (ASX:COB) (OTCMKTS:CBBHF) advises that a Thackaringa Joint Venture Management Committee meeting was held on 16 November 2018 with representatives from joint venture partner Broken Hill Prospecting Limited (ASX:BPL). 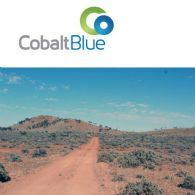 Cobalt Blue Holdings Limited (ASX:COB) (OTCMKTS:CBBHF) announces the Company decides not to exercise its rights to proceed further under Thackaringa Joint Venture Farmin Earning Period provisions. 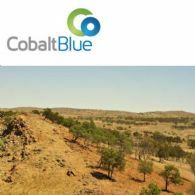 Cobalt Blue Holdings Limited (ASX:COB) (OTCMKTS:CBBHF) refers to its announcement made on 18 September 2018, and confirms that its Board and technical advisers are currently reviewing the Wood PLC report. 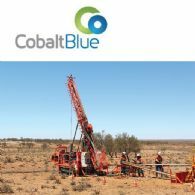 Cobalt Blue Holdings Limited (ASX:COB) (OTCMKTS:CBBHF) announces Bankable Feasibility Study commences with drilling campaign and project optimisation studies. 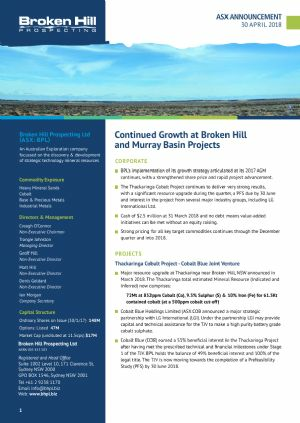 Cobalt Blue Holdings Limited (ASX:COB) (OTCMKTS:CBBHF) advises that it has received notice from Broken Hill Prospecting Limited (ASX:BPL) (OTCMKTS:BPLNF) that BPL has accepted to its satisfaction the completion of the Stage Two earning obligations under the Joint Venture Agreement on the Thackaringa Cobalt Project in Broken Hill NSW. 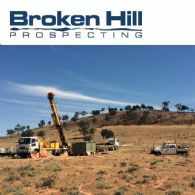 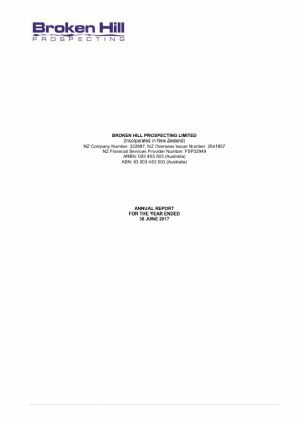 Broken Hill Prospecting Limited (ASX:BPL) (OTCMKTS:BPLNF) announced on Wednesday 4 July, 2018 that it had received the Thackaringa Cobalt Project Pre-Feasibility Study from Cobalt Blue Holdings Ltd (ASX:COB) (OTCMKTS:CBBHF), Manager of the Thackaringa Joint Venture. 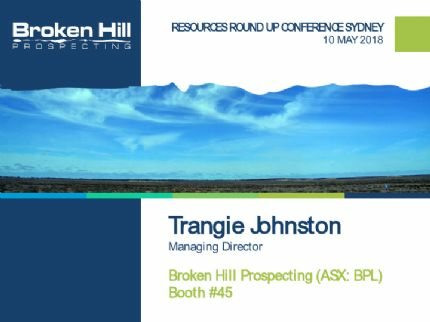 Broken Hill Prospecting Limited (ASX:BPL) (OTCMKTS:BPLNF) announced on Wednesday 4 July, 2018 that it received the Thackaringa Cobalt Project Pre-Feasibility Study from Cobalt Blue Holdings Ltd (ASX:COB) (OTCMKTS:CBBHF) as Manager of the Thackaringa Joint Venture.